Subsea Tooling Services (STS) provides customers with high-performance subsea tooling for the offshore industry. STS’s range of subsea Predator dredgers is the most technologically advanced and efficient on the market. The dredgers have an in-built seabed agitating function and an optional integrated backflush system, turning them into powerful jetting tools. 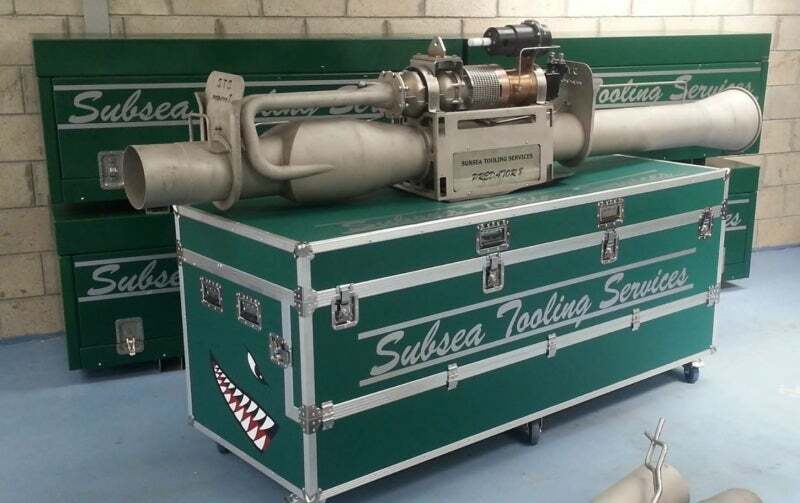 All tooling parts are interchangeable subsea and do not require remotely operate vehicle (ROV) recovery, saving on vessel time while providing a multifunctional tool in a single unit. Including 4in, 6in, 8in and 10in ROV / diver dredgers, they are designed and built with performance and safety as a priority. Tested rigorously in adverse conditions, they have been proven to be 30% more efficient when compared with similar products. The dredger can be quickly mounted to an ROV or diving frame and rapidly deployed to the worksite. Each unit has its own certified lift point and stands upright at all times due to their integrated frame. STS’s diver frame is compatible with the company’s ROV dredgers. There are no sharp edges, minimising the risk of personal injury, and is accessible from all four sides. The STS 3in Gremlin dredger has all the power and efficiency of the Predator Range but in a smaller form. STS has one of the largest and most diverse subsea basket ranges in Scotland. STS’s baskets are accessible and cost-effective, and extend from a 1m3 diver intervention basket up to a 30ft-long riser recovery basket. Each basket has been designed for ease of use and with safety in mind. Removable side doors, locking lids, access ladders and variable on lift points are all part of our efforts to make each basket as user-friendly as possible. STS quickly and easily designs and builds any basket size with modifications available on request. STS also stocks a range of hydraulic power units (HPUs) for function testing of tools, or on-deck powering of equipment. Ranging from 7.5kW to 18.5kW, the company produces bespoke units on request. STS also offers clump weights in any size, weight or dimension. Provided with optional certified rigging, they can be built quickly and in a short turnaround time. STS designs, builds, tests and delivers unique tools for the client’s unique requirements, which range from a bespoke dredger exhaust system to a multifaceted umbilical extraction tool. The company aims to provide a workable solution within tight timescales and works closely with any project team to ensure the mutual success of any campaign. STS offers a technician and consultancy service, which uses the collective knowledge and experience of its personnel to provide support and guidance for any subsea tooling project.